Cow Defender is an interesting drive - shooting game. This game has unique 3D graphics, suitable for all ages, especially children and families. You can experience this game on your browser because it is a flash game. 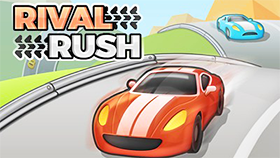 In this game you will control a car that is equipped with a machine gun. Your task is to catch the cows and transport them to the airport. Each time you rescue a cow, you will have $ 100. The cows will be in the cow shed. There will be UFOs in the map and they will kill the cows. You need to destroy them. Each time you destroy a UFO, you will have $ 50. Note: These UFOs will attack you if you fire them. In addition, the game also gives you 6 maps of different sizes. You will use $ to unlock these maps. When the HP bar is reduced to 0, you lose.